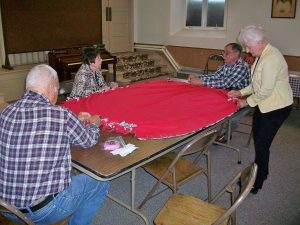 Sunday, April 23rd Grace Lutheran Church made blankets for Lutheran World Relief for those in need. 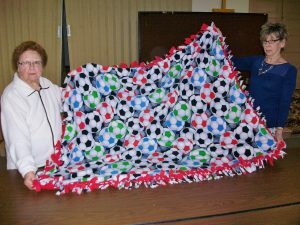 The blankets will go to The ELCA Synod Assembly on May 5th and 6th where they will then be forwarded to Lutheran World Relief. 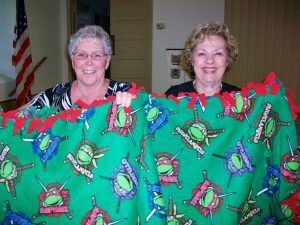 Below are pictures of our members making and displaying the blankets. They were fun and easy to make and will keep someone in need warm.